Villa Ramadewa is the epitome of contemporary tropical living. Within its intelligently blended traditional Balinese and cosmopolitan interiors, museum-quality antiques sit comfortably with modern art installations, and heritage artefacts coexist with an astonishing array of high-tech gadgets - iPods in every room, centralised Bose sound system, Apple TV and an iMac among them. There’s a vaulted living pavilion, dining bale suspended over the 15-metre pool, three glamorous bedroom suites, home study, and spa. 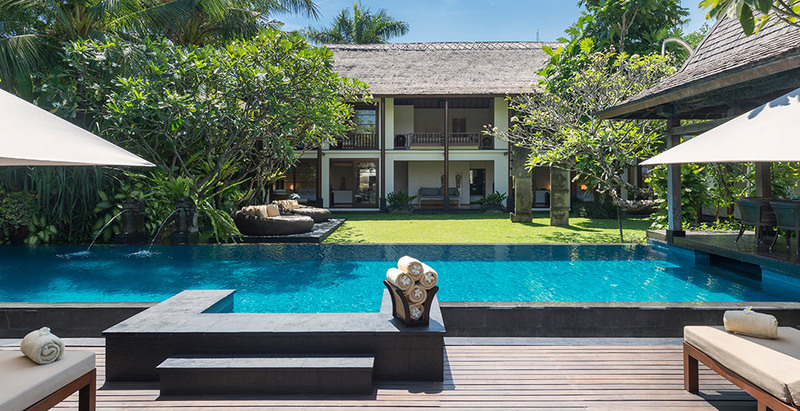 Ramadewa will appeal to design-conscious vacationers seeking an uber-chic fully staffed villa in a stand-out Seminyak location moments from La Lucciola, Ku De Ta and Petitenget Beach.